In the language of flowers, the orchid represents love, passion and vitality. In its pink hue it has the added allure of femininity and charm. Add the classic elegance of pearls and you are more than speaking her language, you’ve engaged her in a most captivating conversation. 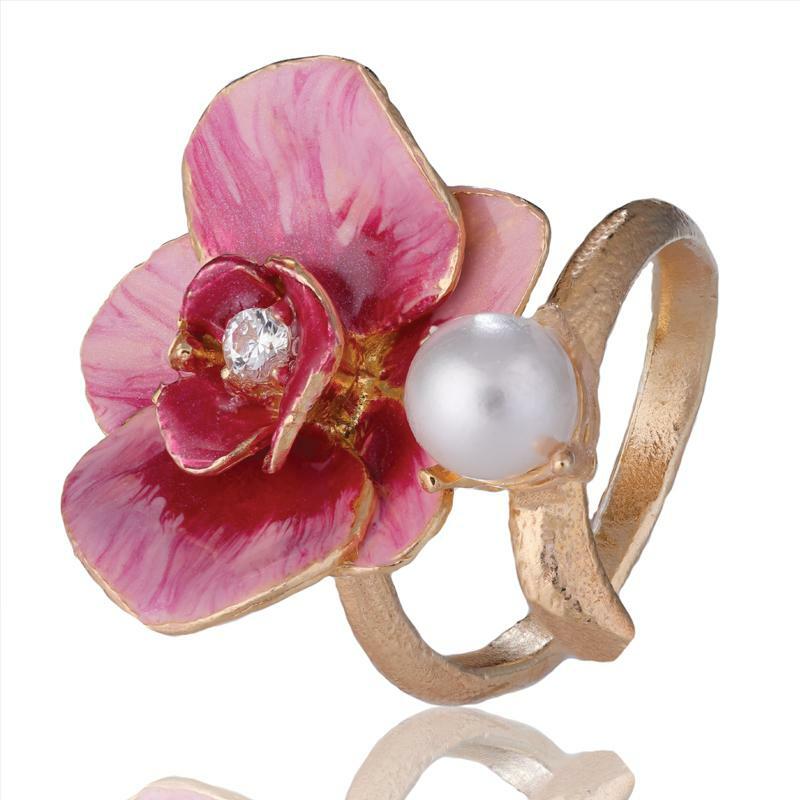 The genius behind the Sardinia Orchids & Pearls Collection is Elisa Cencini. She has spent the past 20 years building a flourishing workshop in Arezzo that delights her loyal fan base with fanciful, nature-inspired designs. Born and raised in the Tuscan countryside, Elisa continuously looks to her land for inspiration. Here, in this collection the wild orchids of Sardinia served as inspiration. Each bloom is formed and painted by hand achieving such remarkable realism Mother Nature herself would approve. So you can go the flowers and candy route, or you can give her a piece of handmade Italian jewelry that speaks to her with a price that gets your attention.